Marti's Floral Designs: What is the Definition of Glamour?? Back in June we were asked by the hilarious ladies of Events by WE to create a inspiration to reality shoot to define the word glamorous. Well it turned out amazingly beautiful! Main Styling completed by Events by WE, Photos shot by JMM Photography, Paper good crafted by 5 Dot Design, and florals of course by moi! Big thanks to Every Little Detail Blog for posting our combined style definition of Glamour! 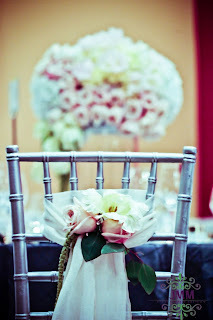 Check out the full pictures on the blog!